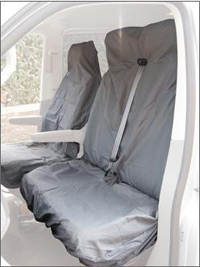 Passenger double front universal seat cover suitable for most vans. Please note that this cover is for the passenger double bench seat only and is not a set of two covers. Universal size - Fits Great.